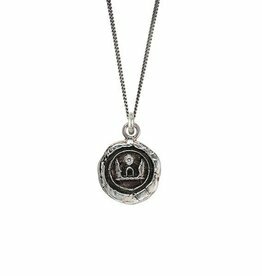 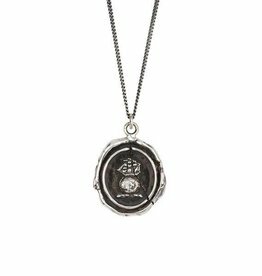 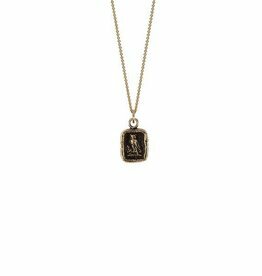 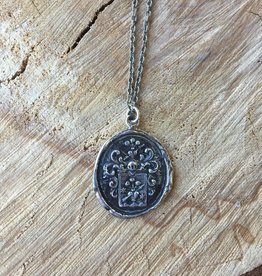 Home / Pyrrha Eternal Protection 28"
The hammer on this talisman signifies strength, honor, and bravery. 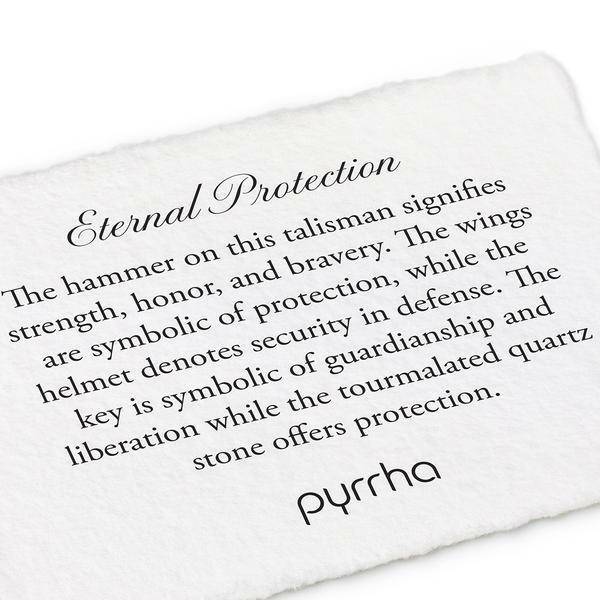 The wings are symbolic of protection, while the helmet denotes security in defense. 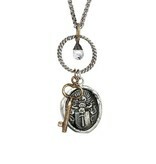 The key is symbolic of guardianship and liberation while the tourmalated quartz stone offers protection. Sterling silver talisman with a bronze key and a briolette cut labradorite on a sterling silver wheat chain with a Pyrrha branded quality tag. 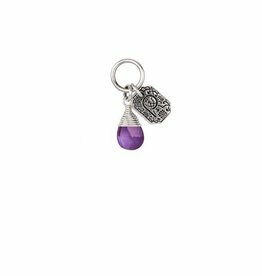 Amethyst attracts balance. 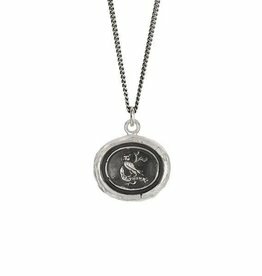 Delicate and dazzling, Pyrrha semi precious stone attraction charms make a colorful and meaningful addition to any Signature Talisman or Charm Holder Necklace. 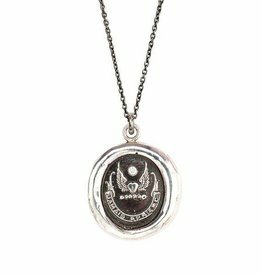 Pyrrha- Amethyst Wrapped Attraction Charm: "Balance"